New Delhi: QS University Rankings has announced dedicated rankings for BRICS region for the first time. 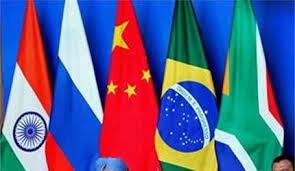 BRICS region includes Brazil, Russia, India, China and South Africa. There are 40 universities from China, 19 universities from Russia, 17 universities from Brazil, 16 universities from India and 8 universities in South Africa in the Top 100 BRICS universities. IIT Kharagpur ranked at #18. IIIT Allahabad ranked at #92. Manipal University ranked at #100. China dominated the ‘QS University Rankings: BRICS’ with 40 universities in Top 100, 20 in Top 50, 4 in Top 5 and Tsinghua University ranked as #1 university in the region. It has invested massive resources in higher education as opposed to India whose universities lag much behind at the international level. In QS World University Rankings 2013, 11 Indian educational institutions made it to the Top 800, with IIT Delhi ranking the highest at #222. « Someone is Always Better than the Best – My Study Experience at IIT Bombay!